Click below for a printable version of this page. Required when insulation is too thin to span flutes of steel decking or when required as thermal barrier by design authority. If required by design authority. Mechanically fastened. See available insulation products in the Accepted Materials section of this Manual. Adhered to overlay board using asphalt, cold adhesive, self-adhered, mechanical attachment or torch applied according to manufacturer's specification. Torching directly to wood surfaces is not permitted. Adhered according to manufacturer's specifications, using cold adhesive, hot asphalt, self-adhered or torch applied to cover boards, or mechanically attached membrane. Must be tucked under metal flange and mechanically attached to nailing strip. Applied according to manufacturer's printed instructions and to RoofStar Guarantee Standards. Applied according to manufacturer's printed instructions and to RoofStar Guarantee Standards. Must be tucked under metal flange and mechanically attached to the nailing strip. Mechanically fasten, standing seam at corners. Full width base flashing optional on flexible membranes. Partial skirt flashing minimum 75 mm (3") required on mechanical curbs that require flashing under metal flange. Weld seams. Bed in two parallel courses of butyl tape or acceptable sealant. 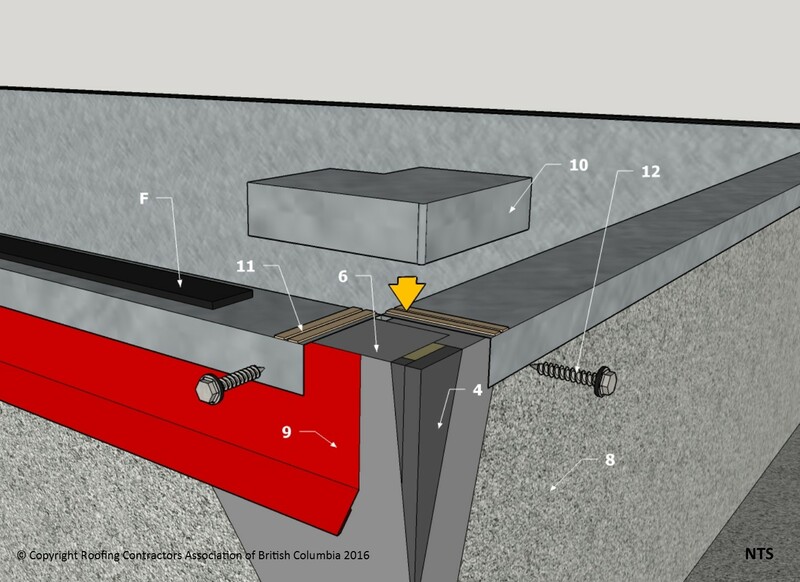 Mechanically fasten to outside face of curb flange. Flanged fasteners with neoprene washers. Minimum 200 mm (8") above finished roof surface. NOTE: Refer to RoofStar Guarantee Standards for additional requirements. 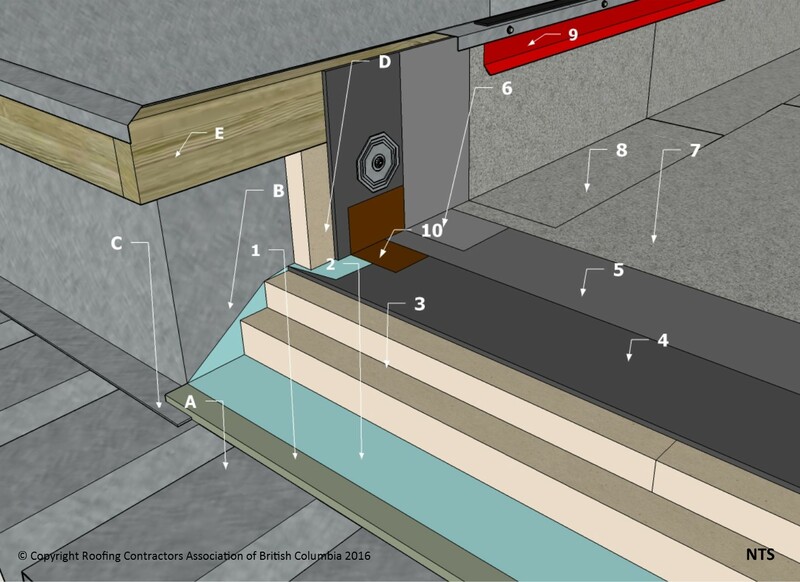 Some mechanical curbs are designed to allow membrane flashing to be carried up onto metal flange. Install according to manufacturers’ instructions.